Marie Therese Hampart Zoumain story is a beautiful example of how humanity and noble deeds know no boundaries and how sometimes in the face of a tragedy, there emerge kindred souls amidst geographical variations. The story of this beautiful French woman stands testimony to this very fact. Marie and her husband Henri had come to visit their son Sebestien, who works with an MNC in Gurgaon and lives in Delhi. The family used this opportunity to travel and visit places like Jaipur, Agra etc. Little did anyone know that there was a much greater purpose behind Marie's visit to India. Marie was rushed into Max emergency on the evening of March 13th, 2014 in a state of unconsciousness. She was diagnosed with a subarachnoid hemorrhage which meant an irreversible damage had caused her brain to die. The son, Sebestien was approached by the doctors at Max along with MOHAN Foundation counselor regarding donating her organs. Like any other offspring, he was fraught with the grief of suddenly losing his mother in a foreign country and was confused about taking a decision that involved her and people that did not belong to his nationality. The Hampart Zoumains hail from a quaint little picturesque village in France, 20 kms from Lyon called Sain-Bel. Everyone in this village knew Marie for she was an excellent cook and would always help her older neighbors with their outdoor chores. She had worked in the French finance ministry for most of her former life and was spending the latter travelling, trekking and dancing. France has an ˜opt out' system of organ donation where every citizen is considered an organ donor unless he/she has opted out of it. Marie had spoken passionately about this to her family on many occasions. While speaking to the Transplant coordinator from MOHAN Foundation, Sebastien reminisced Marie's deep desire of wanting to die without suffering and burdening her family and said that though the incident was shocking, they were glad that she could keep her wish and in the process, give a couple of others the gift of life. He said that henceforth, India will be connected to their family history for eternity. Both her kidneys went to recipients at Max hospital. Her liver was given to an Army jawan at RR Army hospital. Marie loved India. 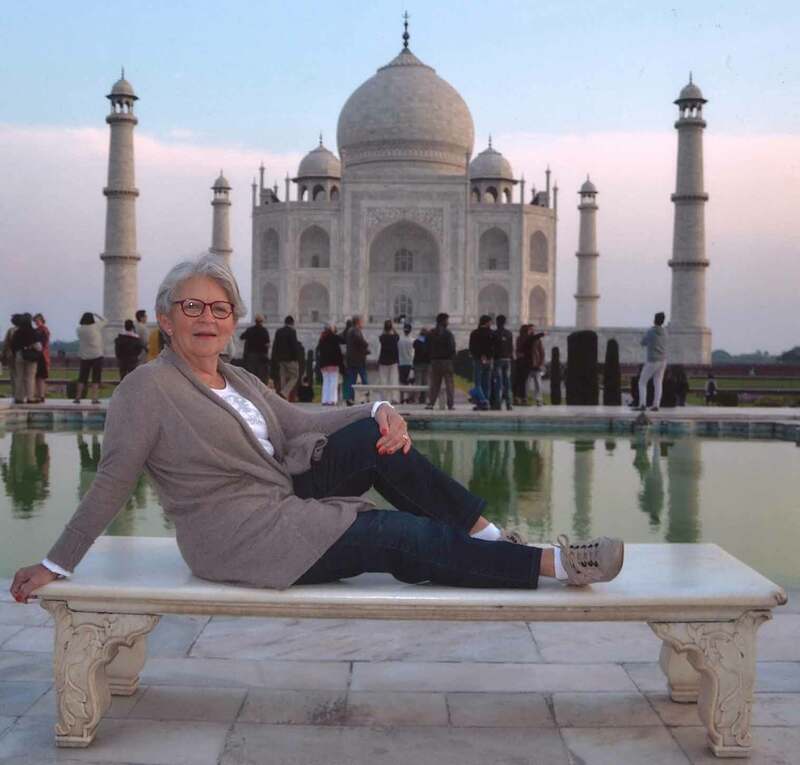 And as one looks at her picture against the majestic Taj, you can only marvel at the largeness of this lady who gave back more than what she had received and was immortalized through the lives of three other people.